The Family P.A.C.T Center is committed to supporting Children and Families who have been affected by divorce, separation, abuse, neglect or domestic violence. OUR FOCUS is to promote and maintain healthy and meaningful Adult/Child relationships by providing a safe and comfortable environment for resolving differences, spending time with Minor Children, and providing exchanges of Children for Parenting Times. OUR PURPOSE is to facilitate a healthy, safe, respectful relationship among the Family Participants. OUR GOAL is for Participants to achieve the desire and ability to maintain a respectful relationship on their own. When the Participants indicate that they are equipped with the tools for maintaining that respectful relationship, our services are terminated by mutual agreement. 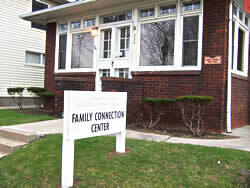 Monitored Parenting Times (Supervised Visitation) – The Family P.A.C.T Center is located in a house with couches, chairs, a full service kitchen and a home-like atmosphere. Monitored Exchanges – These exchanges (are short term) and occur when the movement of the Child(ren) from one parent to another requires supervision due to conflict between the parents. To receive this service the parents/parties involved must be actively enrolled in our resolution process. Resolution Process (Mediation) – For those parents who live separately and are having difficulty agreeing about issues of Parenting Times, Custody, Child Support, claiming the child for tax purposes, etc.